Fort Vancouver Regional Libraries is a public library system in southwestern Washington state. 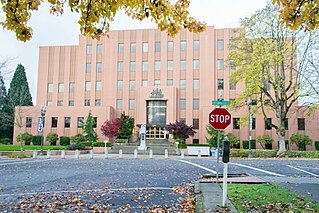 The library district was established in 1950 as the first inter-county rural library district in Washington. The district has grown since 1950 to serve all of Clark (except the City of Camas, which funds its own Camas Public Library), Skamania and Klickitat Counties, and the city of Woodland and the independent Yale Valley Library District in Cowlitz County. With fifteen library service locations, two bookmobiles, district Headquarters located in Vancouver, and a wealth of online services, Fort Vancouver Regional Library District provides information resources and services, and community and cultural events for a population of more than 464,000 residents. The service area is more than 4,200 square miles (11,000 km2) and includes farm, open range and national forest lands, communities along the Columbia River, small towns and expanding urban and industrial areas. The collection for the district includes more than 750,000 volumes, including books and eBooks, magazines and eMagazines, DVDs, audio book CDs and eAudio, and streaming video. The earliest recorded circulating library in Southwest Washington was the Hudson's Bay Company Library, which began as early as 1833. Records indicate that the library was located in Fort Vancouver, and provided service to officers of the Hudson's Bay Company. The service ended in 1843. The Vancouver Catholic Library Association was established between the years of 1865 and 1870, and in 1872 was reported to maintain a collection of 1,000 volumes. The library was closed in 1886, and the collection was dispersed. The Vancouver Library Association was formed on January 11, 1877. An initial collection of 27 books was gathered and housed in the same building as the Vancouver Independent, the local newspaper of the period. In 1878, the Good Templar Lodge disbanded and donated its collection of books and furniture to the Odd Fellows Lodge, for the purpose of setting up a free reading room. In December 1878, the Vancouver Library Association moved its small collection of books from the offices of the Independent to the newly established Free Reading Room. By 1891, the library had changed locations several times and was in danger of being closed due to lack of funds. A petition was put before the city council to establish a tax-supported public library, and on April 4 of that year the request was granted. This tax supported library came to be called the Vancouver Public Library. The first librarian for the Vancouver Library was C. W. Shane. In 1895, Mr. Shane noticed that many young people enjoyed reading, so he opened a circulating library of his own, called the Shane Library, specifically for the area youth. In 1908, Edward Swan, an attorney, solicited the Home Trust Company for Carnegie Library Funds to build a new library. The request was approved, and by the middle of 1909 the new library building was completed. Over the next 30 years, the Vancouver Public Library, headed by Mrs. Marion Pirkey, grew to nearly 20,000 volumes. Meanwhile, another library was taking shape in Clark County, in the town of Camas, Washington. In 1923, a collection of books was gathered together and housed at a local drug store. After two years the collection was moved to an alcove at Camas City Hall, and later it was moved again to the Telephone Building. The popularity of the library grew over the next decade as Camas experienced rapid industrial growth. It was decided that a professional librarian was needed, and in January 1932 Eva Santee was hired. The library was well supported, and in 1939 a bond was passed supporting the building of a new library. In 1940, Eva Santee took over as librarian of the Vancouver Public Library, and worked to set up rural library service for the outlying areas of Clark County and Skamania County. Bookmobile service was established and proved successful. When the United States entered into World War II in 1942, Vancouver was heavily impacted due to the heavy population growth as workers flocked to the area to work at the Kaiser Shipyards. To support this new population, a petition was passed to establish a county library district. The measure was passed, and the first rural library district in Washington was established. Near the end of 1942, another library system came into existence, through the Vancouver Housing Authority. Library quarters were set up in each housing project in the area. Funding difficulties for both the Vancouver Public Library and the Housing Authority Libraries caused some staff to leave the system, until only Eva Santee and a children's librarian remained. In March 1943, all three library systems met and agreed to work together to provide library service to the area. Each system took on a variety of responsibilities, with the Vancouver Public Library providing the headquarters, the County Library maintaining the rural bookmobile services, and the Housing Authority Libraries maintaining a portion of the collection and providing some clerical personnel. Eva Santee retired in 1967 and was replaced as library director by Ruth Watson, who served from 1969-1987. During this time, the library opened up a new location in the Vancouver Mall and expanded its area of service to include Klickitat County. In 1988, Sharon Hamer became library director, and in 1993, the library catalog first became remotely accessible via dialup using the Dynix integrated library system. Bruce Ziegman took over as director in 2001. In 2009, Battle Ground Community Library was re-opened in a larger location, and new libraries were opened in Cascade Park and downtown Vancouver. Following Ziegman's departure in 2011, Operations Director Patty Duitman was appointed to be interim executive director by the Board of Trustees. Nancy Tessman, formerly of Salt Lake City Public library, was selected as the new director in 2012, and served through 2015. She was succeeded by current director Amelia Shelley in 2015. In 2018, the district was formally rebranded from Fort Vancouver Regional Library District to Fort Vancouver Regional Libraries. ^ Newsom 1954, p. 23. ^ Buck, Howard (April 2, 2009). "New Battle Ground library prepares for May 15 opening". The Columbian. ^ Buck, Howard (December 16, 2009). "Cascade Park library wows crowd". The Columbian. ^ Njus, Eliot (2011). "New Vancouver Community Library's grandeur a product of good timing". The Oregonian. ^ Vogt, Tom (September 10, 2015). "Library board selects new executive director". The Columbian. Newsom, Harry Edwin (1954). "Fort Vancouver Regional Library; A Study Of The Development Of Public Library Service in Clark and Skamania Counties, Washington,". Thesis, University of Washington. Clark County is a county in the southwestern part of the U.S. state of Washington, and the southernmost county in Washington. As of the 2010 census, the population was 425,363, making it Washington's fifth-most populous county. Its county seat and largest city is Vancouver. It was the first county in Washington, named after William Clark of the Lewis and Clark Expedition. It was created by the provisional government of Oregon Territory on August 20, 1845, and at that time covered the entire present-day state. Washougal is a city in Clark County, Washington, United States. The population was 14,095 as of the 2010 Census. C-Tran, more formally the Clark County Public Transit Benefit Area Authority, is a public transit agency serving Clark County, Washington, United States, including the cities of Battle Ground, Camas, Vancouver, Washougal, and Yacolt. Founded in 1981, C-Tran operates fixed route bus services within Clark County, as well as paratransit services for qualified persons with disabilities (C-Van) and a dial-a-ride service in Camas, Ridgefield, and La Center. C-Tran also provides express commuter services between Clark County and various points in Portland, Oregon, including downtown, the Parkrose/Sumner and Delta Park MAX Light Rail stations, Lloyd District, and Oregon Health and Science University. A bookmobile or mobile library is a vehicle designed for use as a library. Bookmobiles expand the reach of traditional libraries by transporting books to potential readers, providing library services to people in otherwise-underserved locations and/or circumstances. Bookmobile services and materials, may be customized for the locations and populations served. The Washougal River is a 33-mile (53 km) tributary of the Columbia River in the U.S. state of Washington. Its headwaters and upper 21 miles (34 km) are in Skamania County in the Gifford Pinchot National Forest, and its lower 12 miles (19 km) are in Clark County. The river, which meets the Columbia near the cities of Washougal and Camas, is a popular stream for fishing, swimming, and boating. State Route 14 (SR 14) is a 180.66-mile-long (290.74 km) state highway in the U.S. state of Washington. The highway travels east-west on the north side of the Columbia River, opposite Interstate 84 (I-84) to the south in Oregon. SR 14 forms a section of the Lewis and Clark Trail Scenic Byway and begins at an interchange with I-5 in Vancouver. The highway travels east as a four-lane freeway through Camas and Washougal and intersects I-205. SR 14 continues east as a two-lane highway through Clark, Skamania, Klickitat, and Benton counties before it ends at an interchange with I-82 and U.S. Route 395 (US 395) near Plymouth. The Santa Clara County Library District is a public library system headquartered in Campbell, California. The library serves the communities and cities of Campbell, Cupertino, Gilroy, Los Altos, Los Altos Hills, Milpitas, Monte Sereno, Morgan Hill, Saratoga, and all unincorporated areas of Santa Clara County. San Jose, the county seat, is served by its own municipal library system. In addition to these libraries, the library provides mobile library service with bookmobiles visiting preschools, retirement communities, migrant farmworker camps, and rural communities without easy access to library services. Mary Lemist Titcomb was a librarian who developed an early American bookmobile and helped establish a county library system in Washington County, Maryland. Lacamas Creek is in Clark County, Washington, United States, and flows about 12.5 miles (20.1 km) from headwaters near Camp Bonneville to Lacamas Lake and Round Lake in Camas, and eventually into the Washougal River. Its name is derived from that of the native camas plant. Lacamas Creek is fed by numerous streams, but the five largest tributaries are Matney Creek, Shanghai Creek, Fifth Plain Creek, China Ditch, and Dwyer Creek. Timberland Regional Library (TRL) is a public library system serving the residents of western Washington state, United States including Grays Harbor, Lewis, Mason, Pacific, and Thurston counties. Timberland Regional Library has 27 community libraries, 2 cooperative library centers, and 3 library kiosks. It was founded in 1968, following a four-year demonstration project, and is funded through property taxes and timber taxes. State Route 140 (SR 140) was a state highway located in Clark and Skamania counties in southwestern Washington. The highway began and ended at SR 14 in Washougal and Prindle, respectively, and followed the Washougal River and Canyon Creek. The roadway first appeared as Canyon Creek Road in a 1911 map and was designated Secondary State Highway 8B (SSH 8B) in 1937. SSH 8B was a spur route of Primary State Highway 8 (PSH 8), which became SR 12 in the 1964 highway renumbering. SR 120 replaced SSH 8B in the same renumbering and SR 12 was renumbered in 1967 to SR 14 after U.S. Route 12 was extended into Washington. SR 120 was also renumbered to SR 140, which was decommissioned in 1992. The El Paso Public Library is the municipal public library system of El Paso, Texas. The library serves the needs the public in El Paso, Texas, Chaparral, New Mexico and Ciudad Juarez, Mexico. It consists of 13 branches and one Bookmobile service. Multiple outreach services are also available including a Homebound service. Washington State Legislative District 18 (D) is one of forty-nine districts in Washington state for representation in the state legislature. Public Utility District No. 1 of Clark County, doing business as Clark Public Utilities and commonly referred to as Clark PUD, is a public utility district in Clark County, Washington. 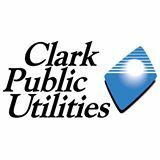 Clark PUD provides electric service to all of Clark County except for the Georgia-Pacific Camas Paper Mill in the City of Camas, and its water service area covers the majority of the county, excepting areas served by private wells, and the Cities of Battle Ground, Camas, Ridgefield, Washougal, and Vancouver, which have their own municipal water systems. 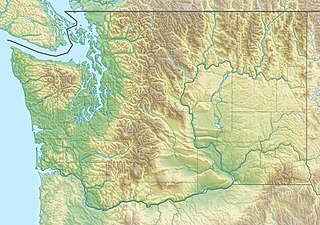 Southwest Washington is a geographical area of the State of Washington, comprising roughly half of Western Washington. It generally includes the Olympia area south to Vancouver at the Oregon-Washington state line. Olympia has been a transshipment center for Southwest Washington since its settlement in the mid 19th century. The South Georgia Regional Library (SGRL) is a public library system consisting of six branches across the counties of Lowndes, Echols, and Lanier, Georgia. The headquarters library is the Valdosta-Lowndes County Library located in Valdosta, Georgia.